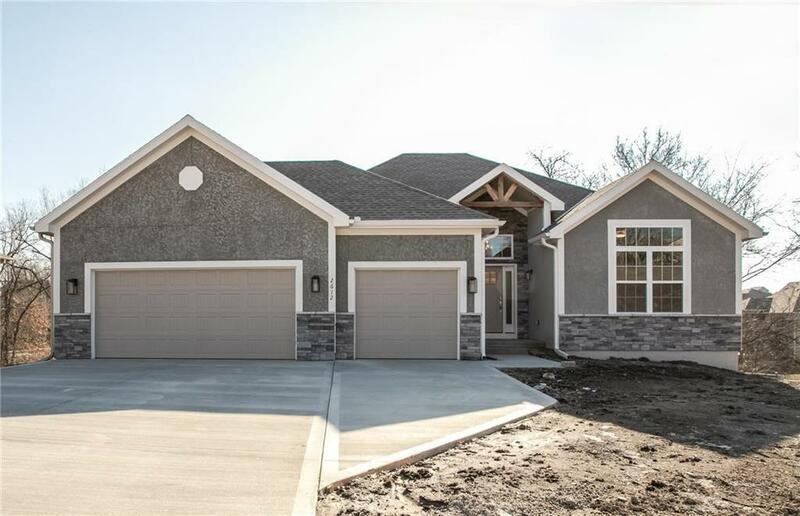 Spring Parade 2019 New Ranch/Reverse 1.5 Story in Parkway Estates! Beautiful Quality Built Open Concept Floor Plan, Perfect for Entertaining! Features: Tons of Hardwood Floors, Island Kitchen, Stainless Appliances, Gas Cooktop, Walk in Pantry, Gorgeous Knotty Alder Cabinetry, Upgraded Kitchen Granite, 2 Bedrooms Up & 2 Bedrooms Down, Great Room & Walk Out Family Room, Huge Covered Porch off Kitchen, Master Bedroom & Family Room, Lot's of Additional Storage Space, 3 Car Garages on Quiet Cul-de-sac!